District 13: Ultimatum, Japanese Edition!!!! 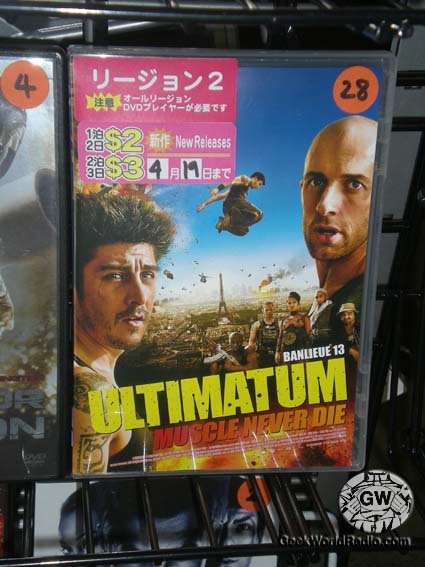 We were walking around our favorite Japanese supermarket the other day and saw this version of the District 13: Ultimatum DVD. There are certainly differences compared to the American version of the poster, but I think they really dropped the ball on not keeping this versions tag-line. ← HAPPY SAINT PATRICK’S DAY FROM GEEK WORLD!!!!! !